When you work on your feet, you want to stay comfortable. But when you work, you have to look a certain way. And then, of course, you need to stay safe. These KEEN Utility 1006999 PTC restaurant shoes do all of that, and they're even easy to clean. The black up ... (see full details) (see specifications) #KEN1006999. When you work on your feet, you want to stay comfortable. But when you work, you have to look a certain way. And then, of course, you need to stay safe. These KEEN Utility 1006999 PTC restaurant shoes do all of that, and they're even easy to clean. The black uppers used for this footwear is constructed with water- and stain-resistant leather. Just wipe the leather right up whenever it needs a cleaning, and your look will keep looking professional. The leather bends and moves to your changing needs, following your feet for flexible steps. And, we all know the amount of walking you do in restaurant shoes can wear them out quickly. But with leather's natural durability, it means you'll be running around in these shoes for a long time. Because it’s water-resistant, the leather stays pliable even when it’s wet. Light rain won’t slow you down in these slip-resistant shoes. Neither will hard floors. KEEN.Cush footbeds keep your steps softened even when you’re moving. A combination of impact-absorbent polyurethane and contouring memory foam combine to create adjustable, constant cushioning. Whether you’re stepping or standing, the cushioning adjusts to meet your needs. Even the lining inside this black workwear works to keep you comfortable. It’s moisture-wicking material that keeps you dry, absorbing sweat so it won’t sit on your skin. Dry skin is healthier, and it’s a lot more comfortable. EVA foam was compression-molded into the midsoles of this footwear to add another layer of soft shock-resistance. The airy midsoles support your stride and keep your steps light. KEEN.Grip outsoles support your step. The non-marking rubber is shock-resistant to put a spring in every one of your steps. Rubber’s natural bounciness will help you rebound from every footfall you take. The rugged soles have been tested for ASTM F1677-96 Mark II non-slip safety requirements. They’ll keep your grip true, even on icy or slick floors and dangerous paths. Oil-resistance protects the tread on these non-slip chef shoes from common, corrosive liquids. 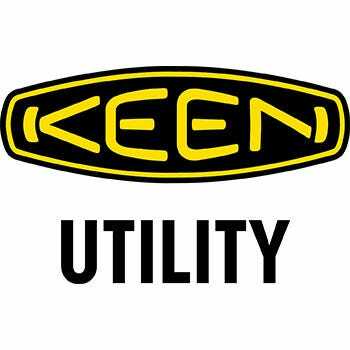 The KEEN Utility 1006999 PTC restaurant shoes are easy to clean, to keep you looking nice. They’re made with cushioning, supportive materials, to keep your stride softened. And they’re made for slip-resistance to protect you from whatever might be thrown in your path. These KEEN Utility shoes are made for everything your hardworking feet really need. I have problem feet and Keens are great high quality, professional looking footwear. I needed dress shoes I could stand and walk in all day. These offer great arch support and are roomy. I would recommend these shoes to my friends and family because they hold up well, look nice, and provide comfort and support. I literally tried hundreds of shoes Finally successful with keens. My foot is narrow and although the foot bed on these are wide the length is perfect I just wear a thicker sock and off to work I go. The water proofing oil resistant properties have been out to the test and perfect. Would definitely recommend these. I really appreciate you helping me out. After i had spoken with you about the hold up suspenders order, you moved things forward immediately. What I forgot to talk about was the black suspenders from a much earlier order. My son has needed them and has been watching for days for them to arrive. He is a young plumber crawling around in tight dirty places, and with a belt, is having to ''pull up his britches all the time''. Plus, the belt is very uncomfortable. This is why i have been wearing suspenders for years. Your prompt attention to the last order you took care of, just arrived today. Thank you very very much. If ever you need a recommendation, I'll certainly give you a good one. Women's KEEN Utility 1006999 PTC Restaurant Work Shoes is being added to your cart.